This is a guide to show how to configure Sales Regions in vintrace and show how they can be used to examine your business revenue, broken down by market. This article assumes that you have already linked vintrace and Xero and understand the basics of the accounting integration and managing sales orders. 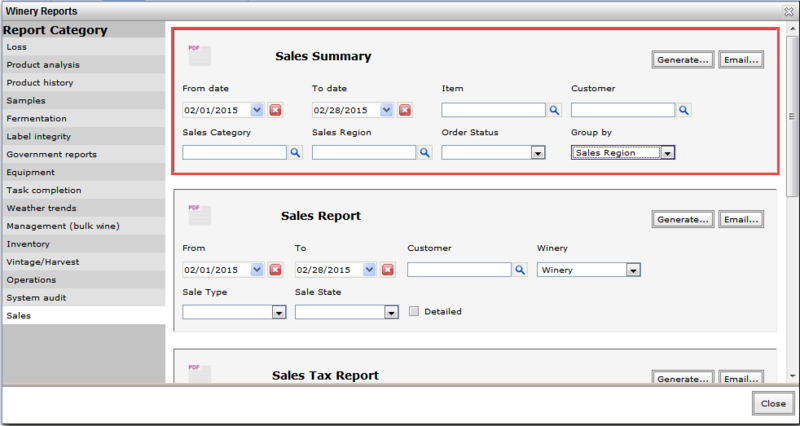 First you’ll need to define the Sales Region Categories in Winery Setup > Sales. 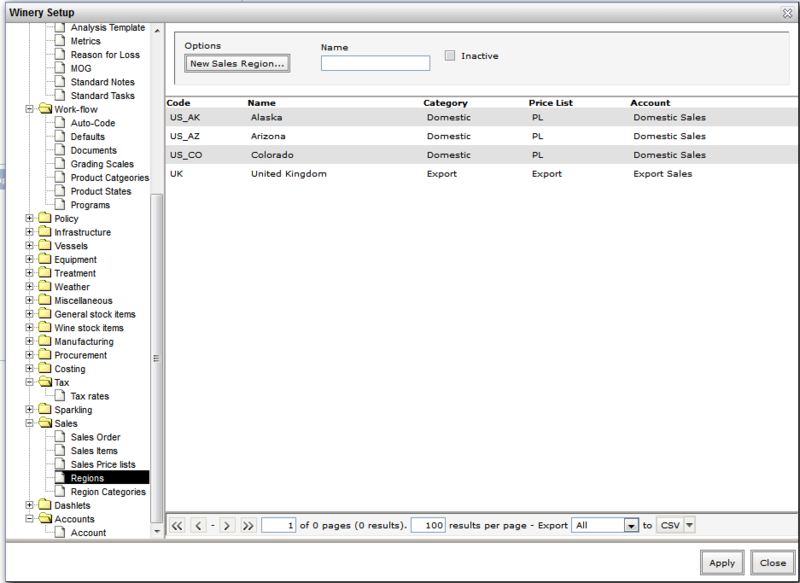 In our example we have Domestic and Export categories. Next we can start creating our Sales Regions (Winery setup > Sales > Regions). Click New Sales Region. 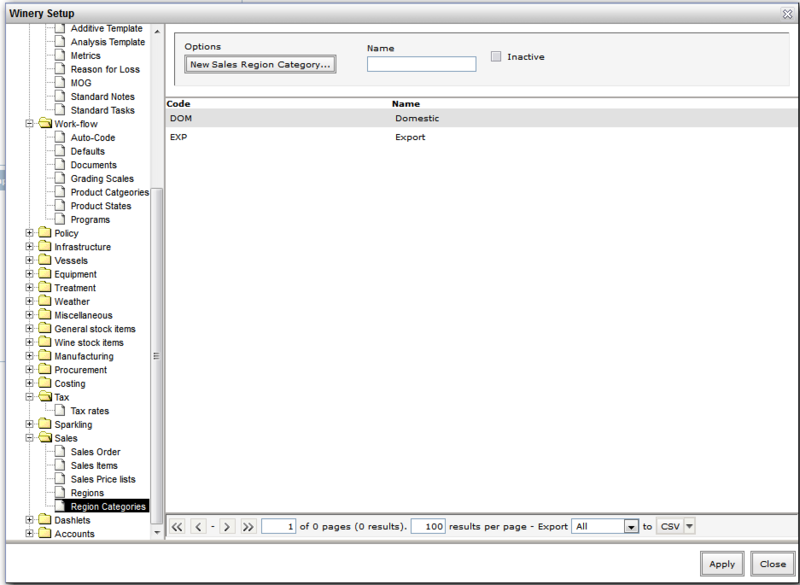 Now you can start defining your Sales Regions. Code and Name are what will show in the reports. Set the Category as appropriate. Default Account and Default Price List are optional, but setting one or both will speed up creating Sales Orders (more on this below). 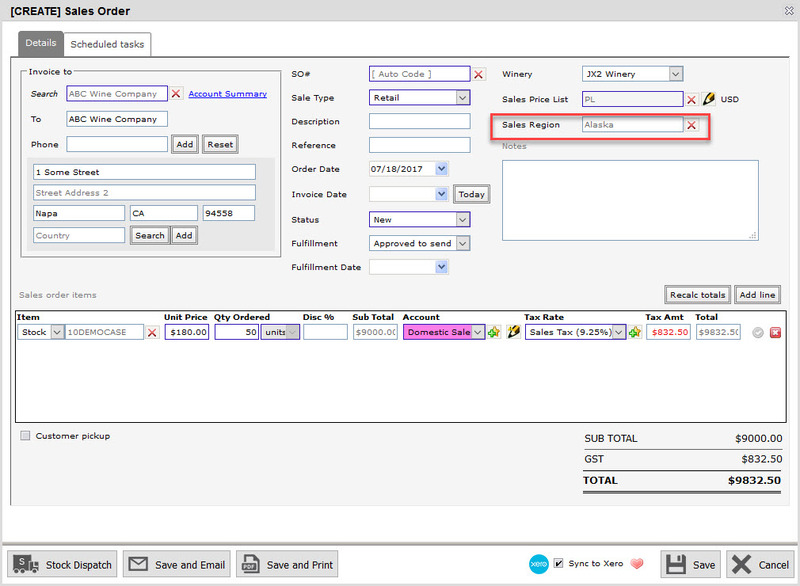 Now you can create a Sales Order and select the Sales Region you wish to link to it. 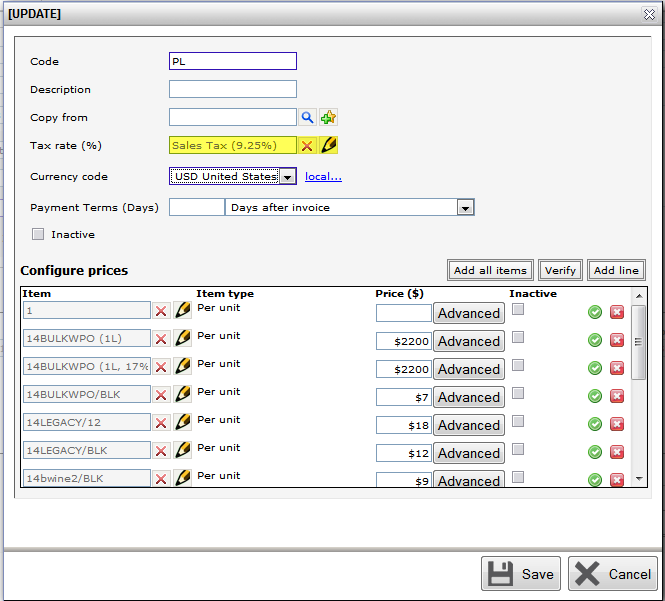 If you configured your Sales Region to have a Default Account, as you add items it will be pre-selected for you. If you have a Default Sales Price List, it too will be used for the Sales Order. Note: The Tax Rate is linked to the Sales Price List (see below), so the default Tax Rate in the Price List is used on new Sales Item entries. 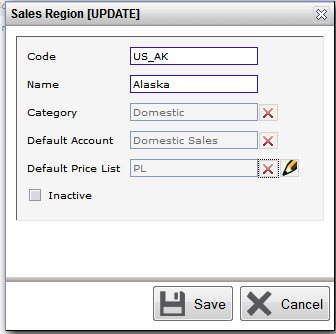 Lastly, because business customers will likely always fall into a single Sales Region, you can set their default Sales Region (Address book > Type (Organisation) > Customer (or Distributor)), allowing Sales Orders to auto-complete the Sales Region; if you have set a default Sales Price List and a Default Account, new Sales Orders will auto-fill those, too. Head to Reports > Sales. The Sales Summary Report will allow you to compare the Costs and Revenue of selling your products within each Sales Region. 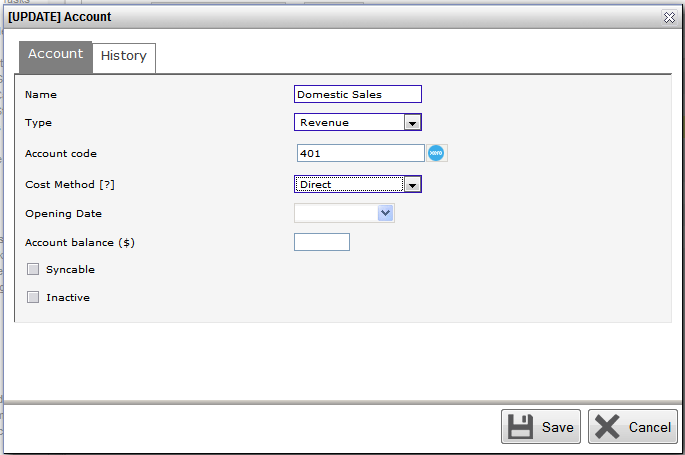 Selecting Date range and then Grouping By Sales Region will allow you to assess each Sales Region.